Extremely sporty - in form and function. These gloves made from high-quality sheepskin come with a water-resistant finish and a waterproof Z-Liner construction. The fingers are anatomically pre-formed to ensure the ski gloves deliver an optimal fit. The reinforcements on the hand's interior and exterior also prove their value for skiing. 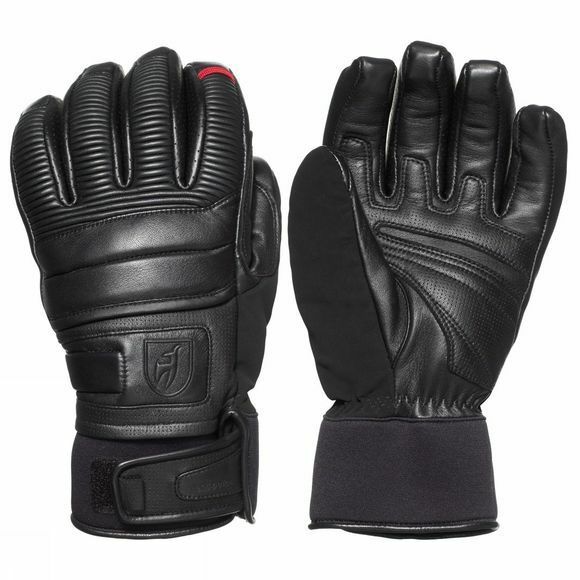 The ski gloves' functional qualities and wearing comfort are further improved by their soft fleece lining. This is because it retains warmth, is breathable and dries rapidly. In terms of distinguishing features, the leather gloves feature a Toni Sailer emblem and contrast coloured stripes on the index finger.